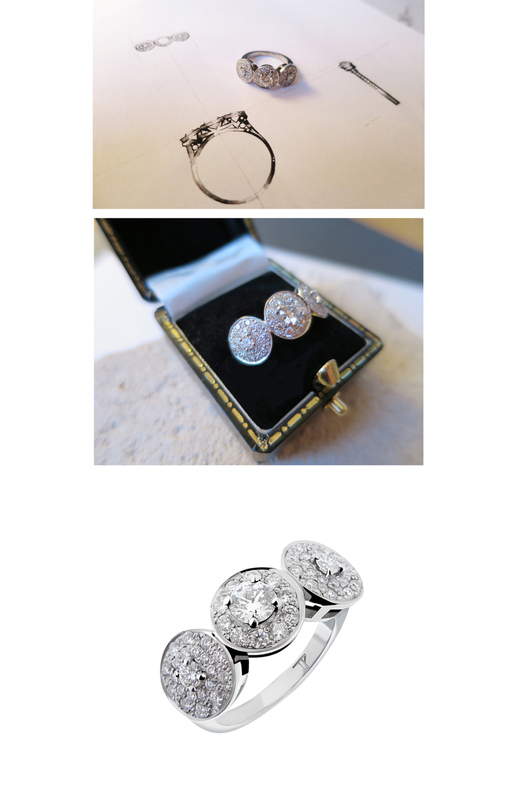 What goes on behind the scenes when it comes to designing a bespoke commission? Here we tell the story of one of our most recent pieces – a platinum and diamond engagement ring made for one special bride-to-be. The brief is perhaps the most important stage of the bespoke process. It’s a chance to get to know your client and as much as you can about the intended bride-to-be. We might enquire about her style of clothes – is she more avant garde or traditional? Is she very active and sporty, or not so much? 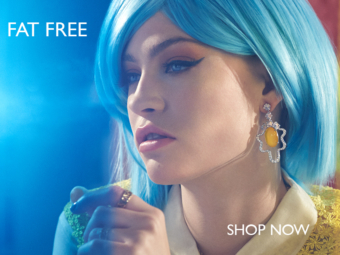 What sort of jewellery does she wear? 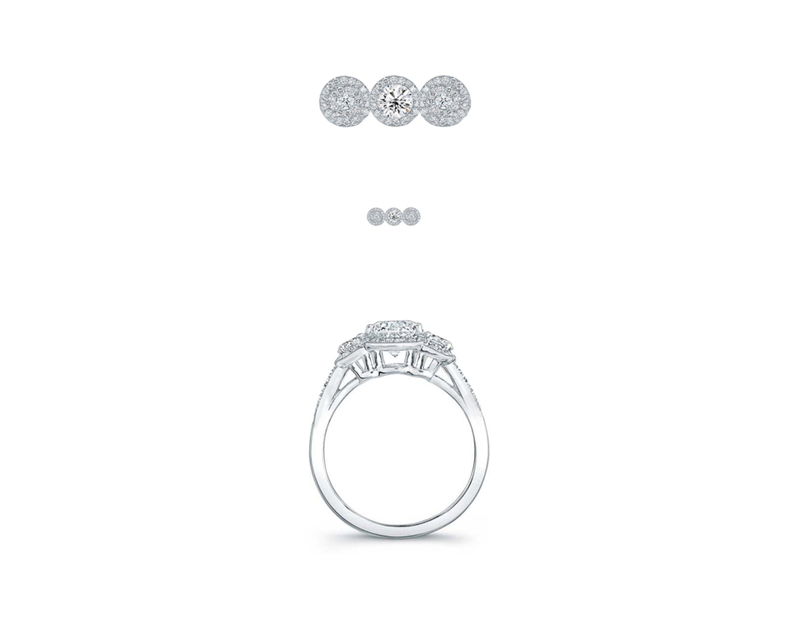 Would she like something understated or flashy on her finger? 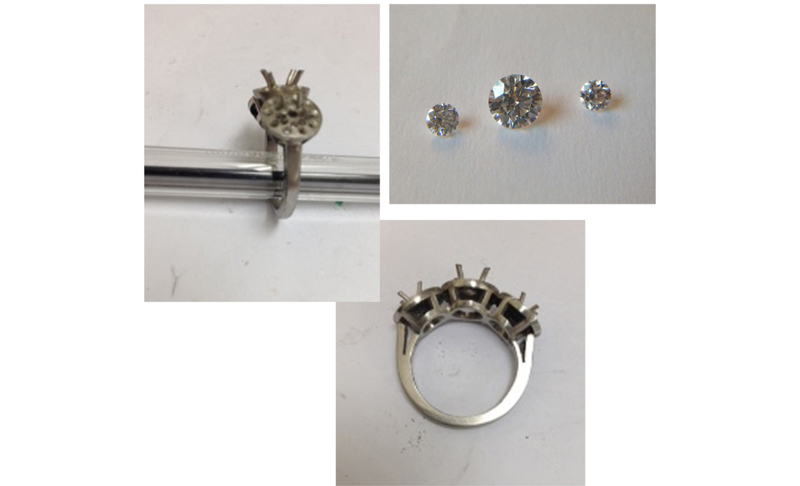 On this occasion our client had a very clear and specific picture of what he envisaged for an engagement ring. 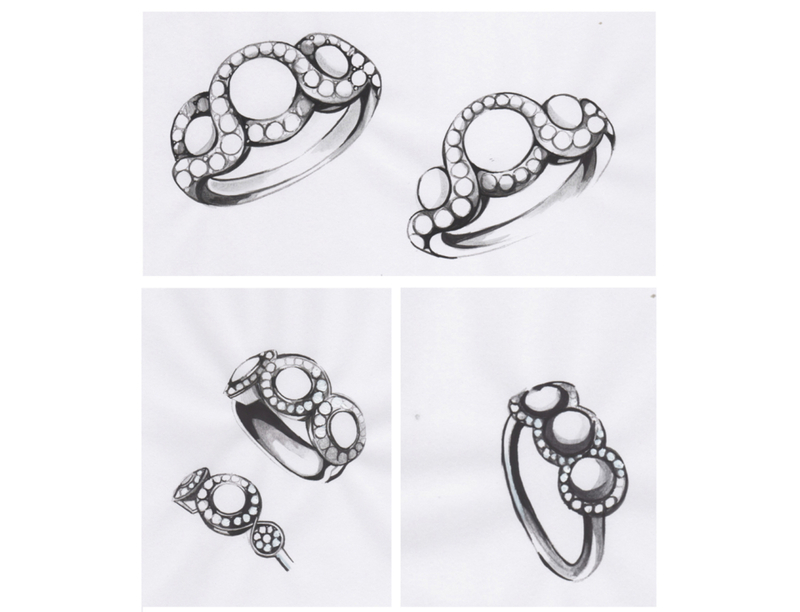 The brief was to design a diamond-focussed ring inspired by circular forms and concentric circles. Something traditional but with an unique edge. With discussions from the Brief fresh in mind, a series of rough, preliminary sketches were produced for client feedback. One important consideration that was given to the ring was how it would ‘sit’ with any future wedding band. 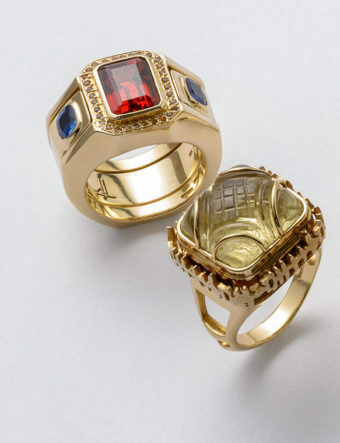 It was decided that it should have enough height in the cathedral to be able to allow a band to sit flush to the ring, but not too much height that the ring would protrude too far off the finger. The initial sketches were then whittled down to a final design, then drawn to scale and costed up with Tessa’s workshop for final client approval. Green light given, it was time to move on to the manufacturing stage. With a design approved it was time for the workshop to translate the 2D drawing into an exquisite 3D piece. This process took about 5 weeks, with Tessa and her team monitoring progress week to week to ensure the final piece was coming together as planned. After a quick trip to the Assay Office for hallmarking, the ring was ready for delivery to the client.